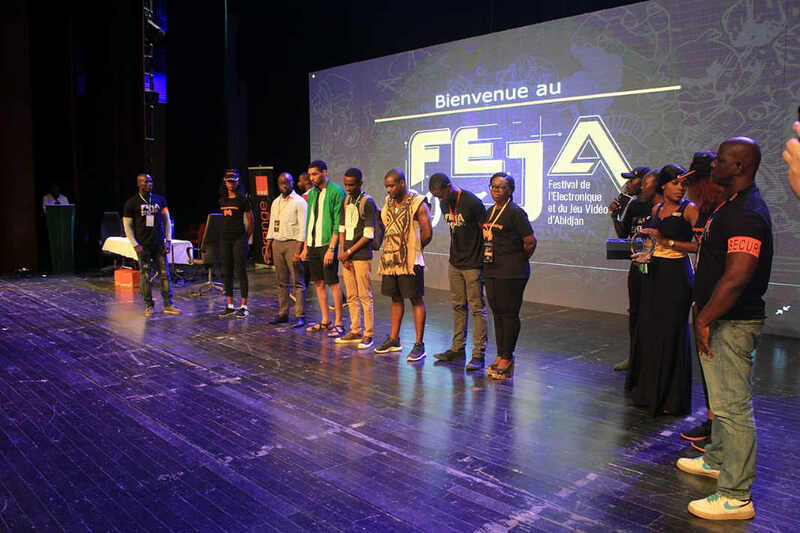 FEJA, the Electronic and Video Game Festival of Abidjan, West Africa’s biggest games event returns to Abidjan for the second year running. Hosting over 10 countries across the world in their national video gaming tournament, professional video game lovers and players from across the globe are uniting in Côte d’Ivoire to win part of the €20,000 cash prize. Organized by Paradise Games, The Electronic and Video Game Festival of Abidjan (FEJA) aims to bring diversity by introducing new and innovative ways of gaming to the enterprise, with its main focus being on the improvement of representation in the video game industry. The driving force behind the creation of FEJA is far more complex than just hosting West Africa’s largest games festival. With Africa being responsible for only 1% of the 100 billion dollar revenue the video game industry brings, FEJA’s priority in the gaming world is to tackle the industry head-on. It aims to create equal opportunity for Africa’s youth, produce the best gaming innovators in the industry, and to introduce gaming to others who otherwise might not have been exposed to the new and unconventional career paths that gaming has to offer. Starting from 22nd September, the 2018 tournament taking place in Abidjan will continue in 9 other countries, including Togo, Ghana and Guinea Conakry before announcing the winner on 22nd November. Over the course of the three months, contestants will battle it out against their rivals to win the title of the FEJA Orange 2018 Champion. With attractions involving electronic sports and indie games, The Festival of Abidjan has joined forces with mobile network Orange, in partnership with Radiodiffusion Télévision Ivoirienne to bring West Africa’s biggest eSports and video game festival to life. The Festival is gaining a lot of recognition all over the world and the excitement for FEJA couldn’t be greater. With greater opportunity for an increased rate of employment and better living quality, the founder of Paradise Games, Sidick Bakayoko, believes that such an opportunity can help birth a new generation of workers in Africa; and due to all of the incredible, undiscovered talent hidden in the African people, the possibility of Africa dominating the video gaming industry is far from unrealistic. With some of the world’s most esteemed gaming franchises, such as FIFA, PES, Fortnite and Clash of the Clans being involved in the tournament, the Festival is believed to be even better than last year. With this year’s theme being “Job Creation Through the Video Game Industry”, FEJA are well on their way to helping create an even better, well established, Africa.